In the last video, we saw how you can import contacts just by copying and pasting. And we said that, if you’re adding your contacts, you need to separate the different fields using a comma. You can use a comma, you can also use other delimiters. But, a comma is good enough. So, if you wanted this to be different fields, the email will be a different field, that will be a different field and we called this one Name when we were importing it into GetResponse. And you also have to make sure that the different contacts are in different lines. So that’s the first line, that’s the second line. So in this video, what you want to do, you want to import, you want to import our contacts from a file, using a file. And the file we’re going to use is still this one, and that is what matters. Let’s get started and I will go into Contacts and click on Import Contacts. So in the last part we copied and we pasted our contacts in here. In this video, we’re going to upload a file. So the different types of files that you can upload are CSV files. So in most email marketing solutions, when you export your contacts, it will either come as a CSV or it will come as an Excel, Excel file. So you can import a CSV file, a TXT file, a VCF file contact. This is most contact forms. Even in Google I think it is stored as VCF. You can import a VCF, you can import XLS, and you can also import an open stylesheet. This is if you’re using OpenOffice. You can import a stylesheet from OpenOffice as well. So, let me go and choose my TXT file. And the TXT I want to import is this email import. And click there to confirm that you have permission to import these contacts. And then I’ll just click on Import Contacts. And you can see, this is the same process as the last video whereby the emails will automatically be detected as email addresses and will be put correctly as email address. And then, for this other field, you’ll have to give them a name. So, let’s just call this Name. If I had put a different, maybe a comma here, and also another one here, and also another one here, we’d have 3 different fields. We’d have, this would be on a field on it’s on, that would also be on a field of it’s on. And in that case, maybe you’d call it First Name. And then, the field with this, you’d call it Last Name. But in this case, it’s all in one field and therefore, that’s why I’m just calling it name. And if you also have other fields that doesn’t fit in any of this, others, then you can just come here and create a new field. You can create a custom field. Maybe you have a field for the title. Maybe then you create a field there. Call it Title, and then give it a value, Title. And then you’ll add that. In this case, I don’t have a field called this and therefore I will just delete it. We also have this advanced settings right here, whereby if maybe your contacts were separated by something else, you’d come here and choose what they’re separated by. Like if you get a file, and the contacts are separated using a tab, or a keystroke, you’d come here and select that. But in this case, ours is separated using a comma. So this is what I was telling you. You can separate it using a semi-colon, a keystroke or a tab. So here, instead of using that comma, it could have been a semi-colon and the same here, this would also have been a semi-colon. So you can use a semi-colon, you can use a comma and any of these others. In this case it’s a comma and it was rightly identified as a comma and since we don’t have anything else here too much, we’ll just go to the next step. That may not be the case for you. Maybe you have different fields. You have lots of other fields that you need to match, and create fields. If you have to create new fields, you’ll create new fields for them. If you’d have to use fields which are already there, you choose the fields for them. So the next step is for you to choose the campaign. Where do you want the contacts to be listed under. In my case, I want them to be listed under New Students. If I want them to be listed under the other campaigns, I would choose them. But in this case, I want them under this one. And if I had any cycles or automations, I would select that right here. But I don’t have any automations. So, I mean I don’t have any autoresponders. So I will just skip this. I will not select it. And then I will click on Finish Import. And if you want to do anything else here like create a new newsletter for them, you can do that if you know how. Or if you want to import more contacts, you can do that. If you want to see the list of contacts that you’ve imported, you can just go into Contacts and then Search For Contacts. And then there, you’ll click on View All Contacts. But in this case, I want to, I want to show you the other option of importing contacts. Let’s just talk about it before I end this video. Now we also have this other option for another service. And this other service could be from any of these. So if you have contacts, maybe you have a Google doc with all the contacts that you need to import. Maybe you have contacts in your Gmail and you want to import them into GetResponse, you can do that right here. Maybe you have your email information in SalesForce. You can import them into your GetResponse account. For example, let me click on SalesForce. You’ll see if you click on this, you’ll need to authorize your account. I don’t have a SalesForce account. So, let me go back and if you have contacts in Xandex, you can just, you can put the URL of your SalesForce right there and then your username, password, and then you’d be able to import your contacts. Maybe you have a Magento website. You can put your Magento link, link to your Magento site right here. Your username and then the API key. And then you’ll be able to import the contacts. So, let’s say maybe you’re importing from Google contacts. Let me just go to Google Contacts. I know I’m logged into Google right now. It’ll ask me for permission to access my Gmail. And I can just say ok, let me allow this. So, these happen to be contacts from my android phone. So if I wanted to import them, I would just click here and then import them. So I’m just going to go back there. So that’s how you can import from any of these services. If you have them, just put in the necessary information. In most cases, if you’re using another email platform, what you can do is you can just export the contacts in that email platform. And if you don’t know how to export the contacts, just go online and Google how to do it. 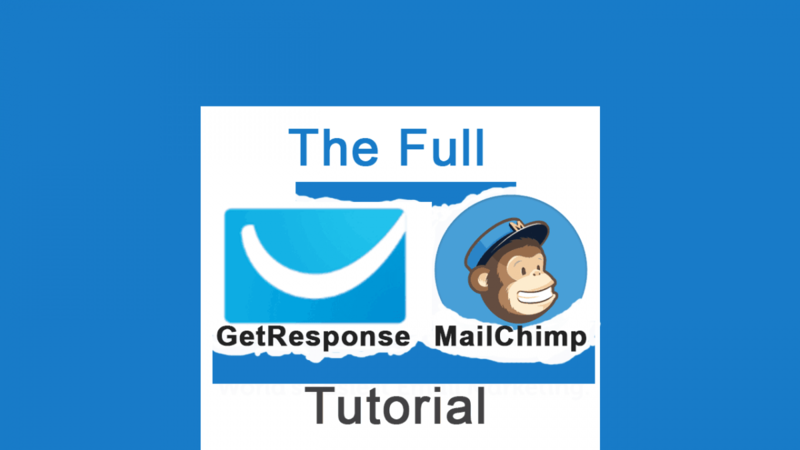 Maybe you’re using MailChimp and you want to import, you want to export your contacts from MailChimp. Just go to Google, search how to export contacts in your MailChimp account. And then you come to GetResponse, and you upload the file here. If there are any fields you don’t want, you can delete them. We’ll continue on in the next video.